We are growing really quickly, aren’t we? From a mere thought at the back of my head in September to a freaking 2.5K+ Instagram social media family members and 3.3K+ Facebook members today, WLI is growing and how! We’ve received a lot of feed back on the blog and it is such a pleasure to know that all of them have been surprisingly good! Just yesterday I came across my sister-in-law’s friend who had a lot of good stuff to say about us! A lot of you have opened up and told us how you like our blogs that do budget dressing. So on popular demand we decided to come back with another “raid-every-wardrobe-in-the-house” look! Haha! Okay, so here’s the deal. I see a lot of potential in basics. They are very versatile and can be styled in numerous ways! Today was one of those days when I wanted to just be casual and comfortable in my skin, but at the same time, be stylish and chic. I was giving my mother a break today so I raided my father’s wardrobe instead(! 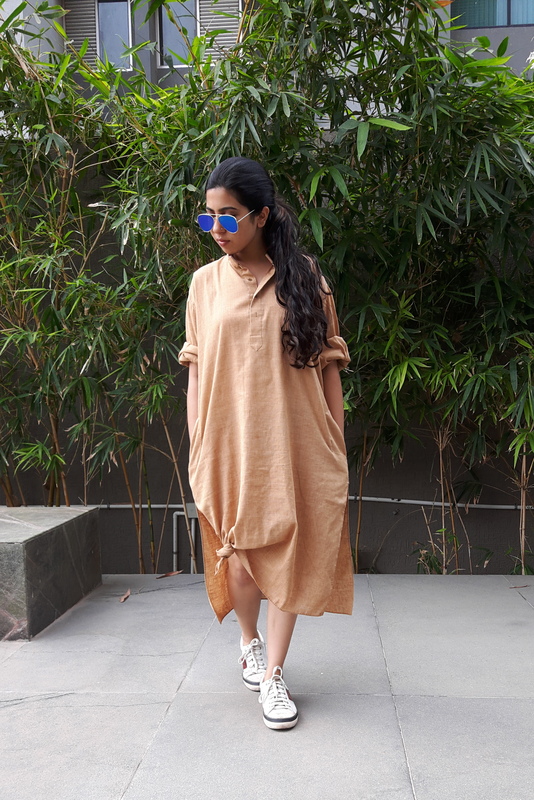 ), picked out his Calcutta khadi kurta (which I’ve always eyed upon) and decided to style it. 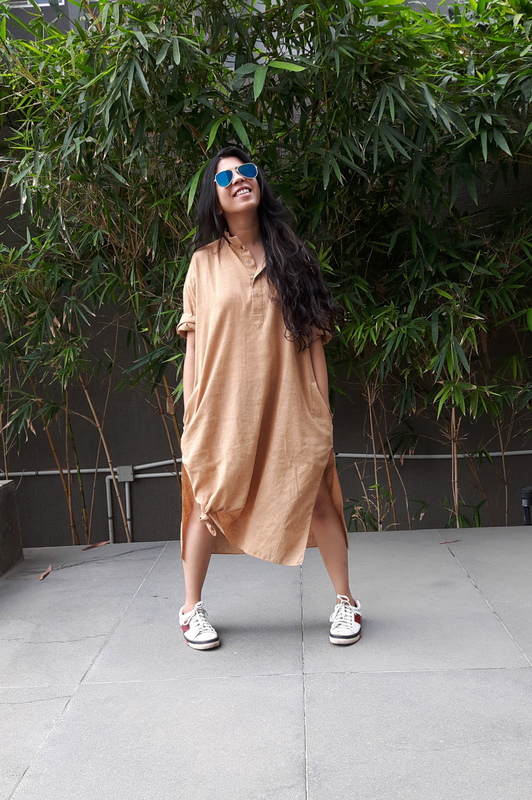 There are two ways I’ve styled this kurta. 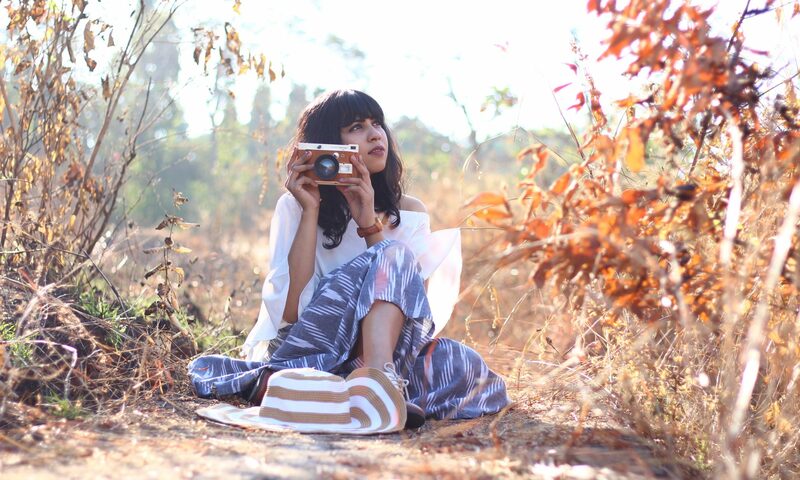 While one is a very indo-western, mix-match look, the other style is more street style and sporty. Try and do your little stealing session when your father AND brother aren’t at home or best, in town. Makes the whole process a lot more smoother. Knot it up. Things start looking a lot more stylish with a simple twist and knot. Believe you me!